← Yonkers Marathon here I come! 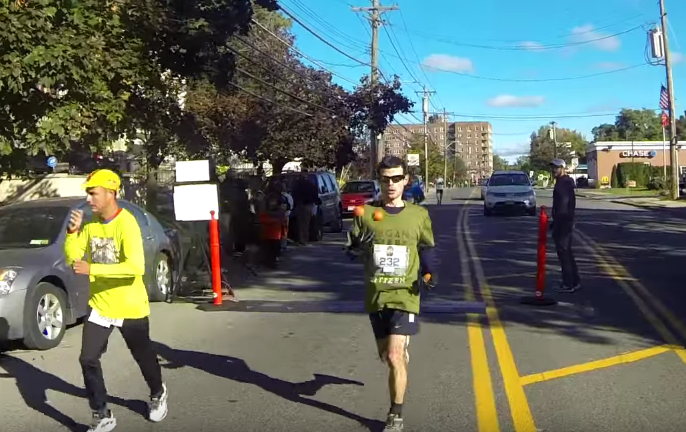 What can one say about the Yonkers marathon that hasn’t already been said? It has been described over the years as a “beast of a marathon”, or even a “monster” because of its seemingly never-ending hills. This old marathon is still considered one of the nation’s most challenging. And this year the beast got the better of me. The good news is that I didn’t drop the balls once(2 years in a row no drops!). In fact I’ve been using the same Gballz beanbags since my first marathon. So why was I so slow this year? I think the rerouting of the marathon route made it even hillier, and I may have started out a little too fast. By the time I got to this hill at mile 23 I could barely move and I felt like I injured my right knee, and so I had to walk for a little while after. Still, I PRed some shorter distances and got tremendous crowd support. 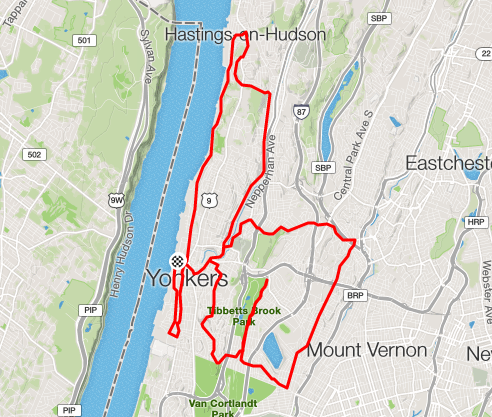 It was great going through east Yonkers for a change, unlike the other 2 times I did this race when it was a double loop around west Yonkers. As far as I can tell my training was adequate, though maybe I should have done some more long runs. Although I’m a little disappointed with my performance, this was a valuable learning experience. I believe I’m already a better runner/joggler because of this experience. Thank you city of Yonkers and a big thanks to everyone who cheered me on as I passed. If you ran the Yonkers marathon, I would love hearing from you in the comments. This entry was posted in running, vegan and tagged acrobatics Yonkers marathon, Chris Pert Yonkers marathon, hilly Yonkers marathon, joggling Yonkers Marathon, juggling Yonkers Marathon, Yonkers Marathon, Yonkers marathon 2015. Bookmark the permalink.